What’s on your mind Nanaimo? Let us know. Let us know what city issues you think are most pressing. What areas would you like to see the blog cover? What’s working well in your neighbourhood and what isn’t. Use the “response” tab below and let us know what’s on your mind! What’s happening in your neighbourhood? Email and let us know: nanaimocityhall2@gmail.com. Include pictures — we’ll add them to the Photo Gallery. I’m so happy that I came across your blog while searching for information about the rebuilding of Port Place. Living in Nanaimo for the last 10 years I’ve tried to find information I want on the city web page but they don’t make it easy — I knew that information was there somewhere but didn’t have the patience to try to find it. When we were fighting the liquor store in University Village and the water main that’s going through Colliery Dam Park it was always hard to find information. Thanks so much for making things more accessible; I’ll do my best to publicize your efforts. You ask what concerns us — I mentioned two concerns above; both ended up being solved in the usual method. Council procedure seems to be to ask people what they want, do surveys, have public information sessions, then go ahead and do whatever they had decided to do in the beginning. We do not need any more liquor stores in this area and certainly not in the only sort of public space when kids can hang out in Harewood. For about $50,000 more they could have avoided going through the Colliery Dam. These days, big deal! More generally I wonder why Nanaimo seems to spend an inordinate amount on administration, surveys, reorganizing City Hall, public information, studies, on and on, and yet we have holes in the roads, our bus service is getting worse and worse (by the way, where is the incredible moving bus depot today?? ), historic buildings like the train station and the old Manson store are allowed to crumble, we’ve spent a fortune on that thing downtown that just seems to remain vacant. Sure we hear that so many conventions are booked it, but has it ever occurred to anyone that if they weren’t there they’d be at Beban? Robbing Peter to pay Paul. And what is this nonsense about a cruise ship facility? I just hope and prey that will never happen. Why don’t we pay off the Convention Centre instead or even better turn it into mixed housing, low income and a few fancy units. Just a few disorganized thoughts. Keep up the good work and keep on going to the Vault, our local businesses need support. Hi there: I JUST discovered your site. I’ll add a link on the South End blog now. Perhaps on your poll, you could add a fourth category….I can’t find updated info and so I can’t make an opinion. I’m trying to keep our readers updated on Port Place mall…we get a tremendous number of hits. Seems my best resource are the folks at the city. They are more forthcoming with info. Certainly not First Capital. Nice start. Keep up the good work. Thanks for the encouragement Barbara, it’s appreciated. The rezoning application pdf on NanaimoMap reads, and has for months, “Information coming soon”. Sounds like this will find its way back to the Design Advisory Panel and we should watch for it to show up on that agenda. It would be great if representatives from the 3 adjoining neighbourhood associations (SECA, Nob Hill, Old City) planned to attend that meeting. You folks represent an element important to the developer: thousand of shoppers, paying customers. I note that POINT/COUNTERPOINT does not point to the article from which it has been taken, thus making response difficult. There should be a pointer to the article from which the quote has been taken. I believe that we should offer a distinct “Suggestion Box” via which suggestions (hopefully seriously considered and productive) could be made about what city hall could do to improve their services and our lives in the city. How about it? Your wish is my command oh tough taskmaster. How do you see it working? Could be a page of its own like this one. Maybe this page could serve the purpose? It strikes me that one good direction for the blog to go is the much needed critique of the local newspapers’ coverage of municipal issues. For instance both papers recently have spun much boosterism about things like “neighbourhood rebranding”. Can you imagine the planning department headed to your neighbourhood to “rebrand” it. I find the idea quite repulsive. Shopping malls floating in a sea of parking stalls are “villages” and “town centres” and the local papers forget what journalistic standards they might have ever had and run mindlessly with the press releases. We deserve better. I’d like to see bylines at the top of posts rather than having to open a story and scroll to the bottom to see the author’s name. Thanks Cam. Good idea. It’s a WordPress template with some limitations and we’re still trying to figure it out here at the world headquarters (also known as the abattoir). I’d use a “tag” for the byline but I can’t figure out how — like I’ve seen on other WordPress blogs — to restrict them to content on the blog itself rather that leaving the blog for dozens of other external sites linked to that tag. You know how to do that? Should the blog have submission guidelines? I’d like to know why city planners (or whoever is responsible for all of the stop lights on Bowen Rd) have round-a-bout-phobia. Why not have round-a-bouts on that road? Roundabouts are a great idea and are mainly designed to replace 4 way stops. There are many pros and cons. Perhaps one of the “contributors” here can start a new topic so we can discuss it. ZERO TAX INCREASE or NO RE-ELECTION. Simple and to the point! how about following up on the Allison Cooney-Clippers story? The Daily News shut down their story comments AND deleted the comments. What’s going on? Since the media’s not doing their job, maybe this site can fill the gap? For my part, I think the Allison Cooney-Clippers story was only a story insofar as the crime/punishment ratio was concerned and there wasn’t enough information provided on the circumstances to give even that story legs. I’m afraid that the rest is gossip and conjecture which is not worth pursuing at this site. There are some really important issues floating around in Nanaimo. This wasn’t one of them. Thanks for the suggestion, Poiuytr. I basically agree with Ron. It’s all pretty tragic and a bit tawdry. What other issues would you like to comment on? The embezzlement isn’t the story. The mysterious shutting down of discussion on the Daily News website is: is the paper frightened of offending an advertiser? Or of offending a city councillor? Not that I expect much from Canadian journalism any more, but this smells. Fair enough, sorry for the misunderstanding. Has the Daily News offered any explanation? >>>Has the Daily News offered any explanation? I find this an interesting read in light of the way that Nanaimo deals with complaint based bylaws.i just acquired an FOI request for all busking complaints in Nanaimo. Bylaw 5723is a complaint based bylaw. I note that in most instances the complaints are not from the public. they are from bylaw officers and footprints security. The city needs to address the number of derelict/abandoned buildings on Nicol street. 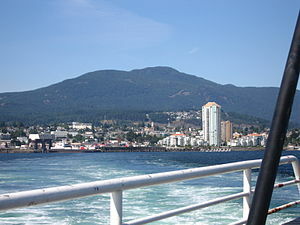 For those coming into the city from Duke Point or the Airport, their first glimpse of Nanaimo must leave a terrible impression. Perhaps an unsightly property act found in other jurisdictions would help.